Original Director Joe Pytka Claims Space Jam 2 Is "Doomed"
When Space Jam descended on the moviegoing masses two decades ago, Joe Pytka’s wonderfully wacky sports flick struck a chord with adults and children alike, seeding a powerful sense of nostalgia that would continue to permeate long after Michael Jordan was shooting hoops with Bugs Bunny and Co. back in ’96. It’s understandable, then, that news of Warner Bros. pushing ahead with Space Jam 2 irked longtime fans of the space-sports romp including, it seems, Joe Pytka himself. Speaking with The Hollywood Reporter, the director was damning of Warner’s planned sequel, which last week recruited Star Trek Beyond‘s Justin Lin to helm. In fact, Pytka even went so far as to claim that Space Jam 2 was essentially “doomed” given the original was very much considered a product of its time. Truth be told, it’s hard to argue with the filmmaker’s logic; after all, few basketball players have ever come close to reaching Jordan’s level of fame. But that hasn’t curbed Warner’s enthusiasm to fire up production on Space Jam 2, given that LeBron James is poised to shoot some galactic hoops for Justin Lin and Andrew Dodge, with the latter attached to pen the script. 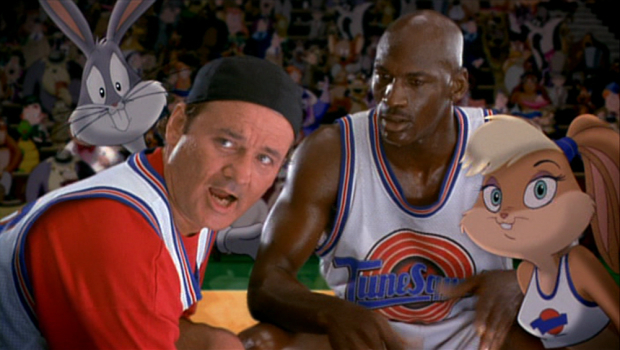 With Pytka’s choice words in mind, what are your early thoughts on Space Jam 2 – yay or nay?